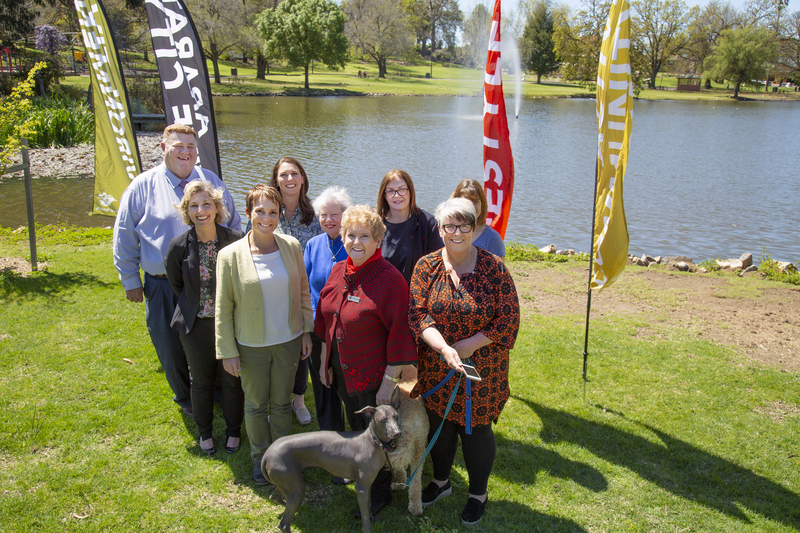 The pathways around the lake at Alexandra Gardens will soon be lit up thanks to funding from the Andrews Government and Ararat Rural City Council. Minister for Regional Development, Jaala Pulford made the announcement of a $231,000 grant on behalf of the Department of Justice to improve the safety of users of the gardens by providing better quality lighting around the lake. Ararat Rural City Council will also provide $25,000 towards the Ararat Active Link Safety Lighting Project. The upgrade will see a mix of overhead and bollard lighting around Alexandra Gardens and through to the recently upgraded Bill Waterston Skate Park. Ararat Rural City Council Mayor, Cr Gwenda Allgood said this funding announcement would further enhance our beautiful botanical gardens in the heart of town. "It is our little oasis and this area is used by so many individuals and groups in our community, including parkrun, Active8 participants, walking groups and beyond Alexandra Gardens we have the skate park users, outdoor pool swimmers and footballers and netballers at the oval," she said. "Installation of lighting will assist in Ararat continuing as an active living community, which is identified as a high priority in the Council Plan 2017-21 and Municipal Health and Wellbeing Action Plan. "I look forward to seeing this beautiful space develop further to meet its full potential and I thank Minister Pulford – who is here on behalf of the Department of Justice and Minister for Police, Lisa Neville – for their contribution to the Ararat Active Link Safety Lighting Project."